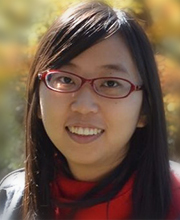 Yue Wang is a PhD student in Economics at Cornell University. She also holds an MPA degree from Cornell Institute of Public Affairs and is a member of Pi Alpha Alpha, The Global Honor Society for Public Affairs and Administration. Her research interests are development economics, labor economics, and ecommerce.